Older iPhones were equipped with “regular” charging. But in the iPhone 8, Apple has quietly added completely new charging circuits. The iPhone 7, iPhone 6S, and iPhone 6 charge with 5V and slightly above 1A. The iPhone 7 Plus, iPhone 6S Plus, and iPhone 6 Plus can charge with 5V and just over 2A maximum. The charging circuit can supply about 6W for an iPhone and about 11W for an iPhone Plus. 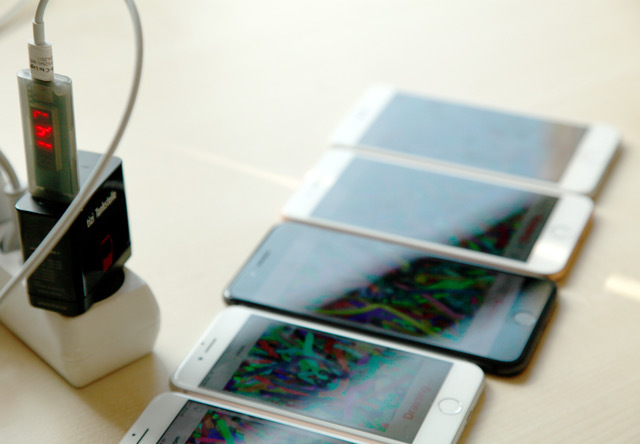 The resulting charging times at maximum charging speed were just under two hours for a normal iPhone and just over 3 hours for an iPhone Plus. What makes the iPhone 8 extra special? 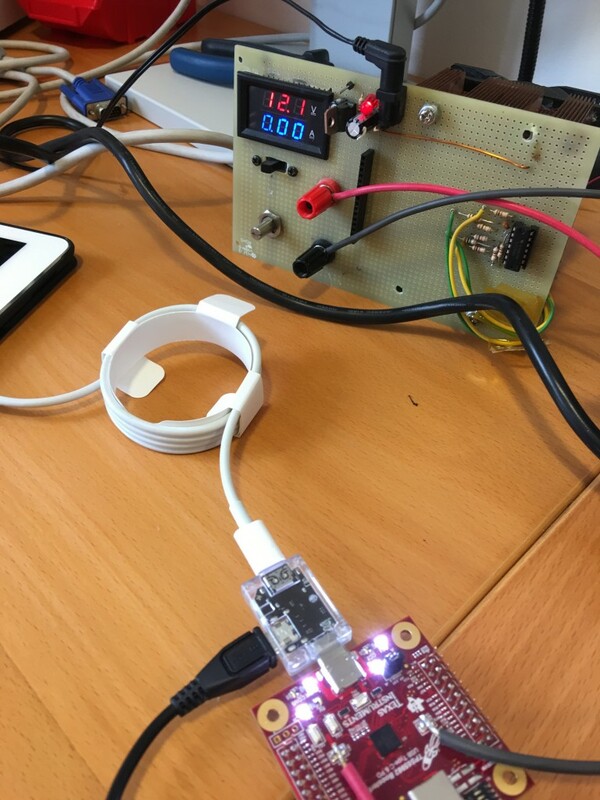 As soon as we got our hands on the new iPhone 8, our equinux tizi hardware team took a closer look in our hardware lab. 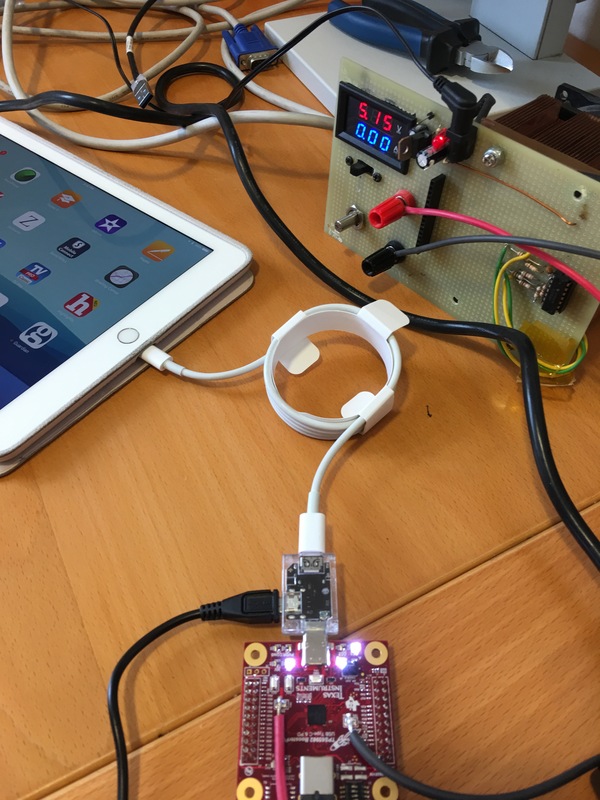 We discovered that both the iPhone 8 and the iPhone 8 Plus have a USB Power Delivery charging circuit. Simply put, it is now possible to charge the iPhones faster. Much faster. 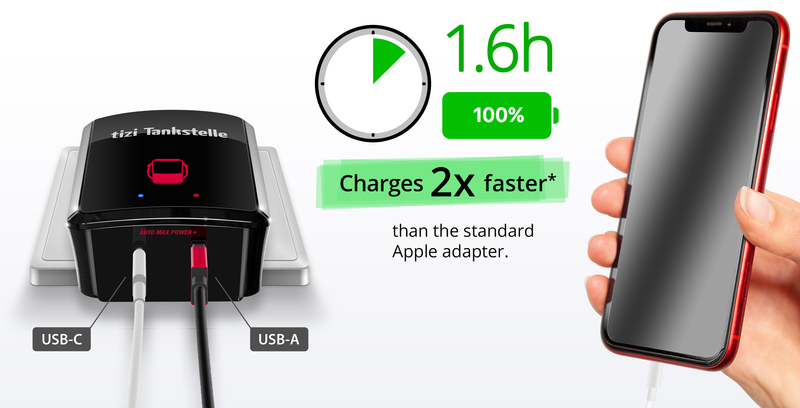 This is more than twice the charging speed of the iPhone 7 and the iPhone 7 Plus, with the potential to cut your charging times in half. We were surprised to find that Apple still only includes the same old Apple USB charger with 5V and 1A with both brand new iPhone 8 models. To take advantage of its full fast-charging potential, you will need to use another charger and the Apple USB-C to Lightning cable. Fully charged in under an hour! With the right USB-C PD charger, the iPhone 8 will charge in about 1 hour – roughly twice as fast as previous models. But: you need the right charger to double your charging speed. Beware of cheap third-party chargers. The market is crowded with products that do not work with the Apple USB-C to Lightning cables. In our tests, only Apple’s USB-C to Lightning cable was capable of fast-charging the latest iPhones and iPads. 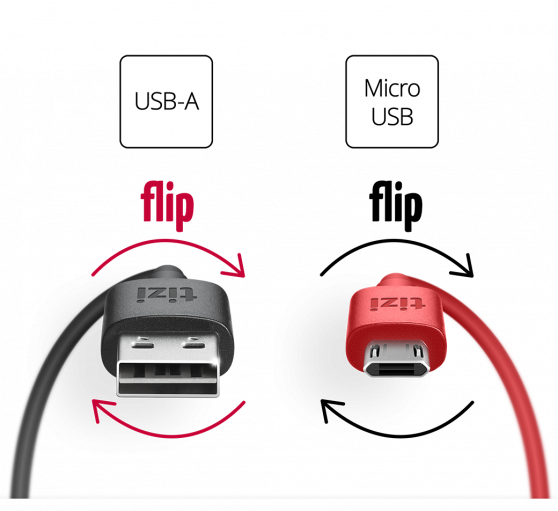 Important to know: If you use a USB-C to USB-A adapter, it interrupts the USB PD power delivery profile, which means that your iPhone will not charge at its fast potential speed or it may not charge at all. So why did Apple only include a 5W charger? So why has Apple included their old 5W charger when the new iPhone 8 and 8 Plus can charge at up to 18W? The included charger only offers 27% of the potential charging speed? This could be a strategic move for Apple: Get Customers used to the slow 27% charging speed, then Apple can introduce the Apple AirPower charging pad – a fast wireless charger that everyone will want to get their hands on. Let’s face it – anyone who pays for a premium AirPower pad will want it to offer something special – faster speeds. 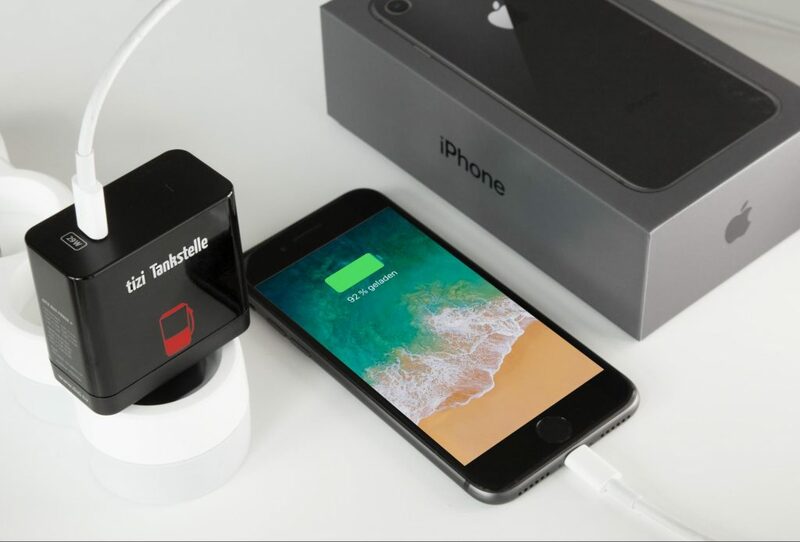 We recommend all iPhone 8 and 8 Plus customers get a USB-C Power Delivery charger like tizi Tankstelle 29W. Other tizi chargers with Power Delivery capabilities will follow shortly. 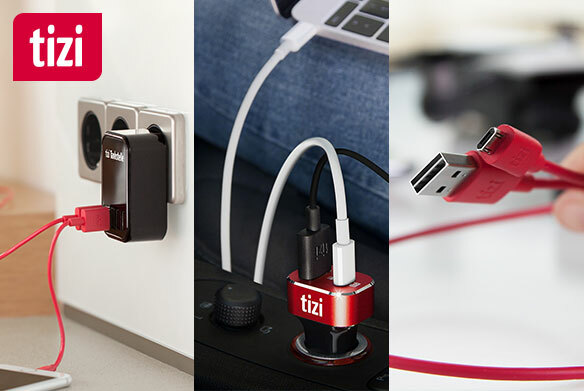 Visit the tizi Tankstelle page and we’ll let you know when new tizi high-speed chargers are available! 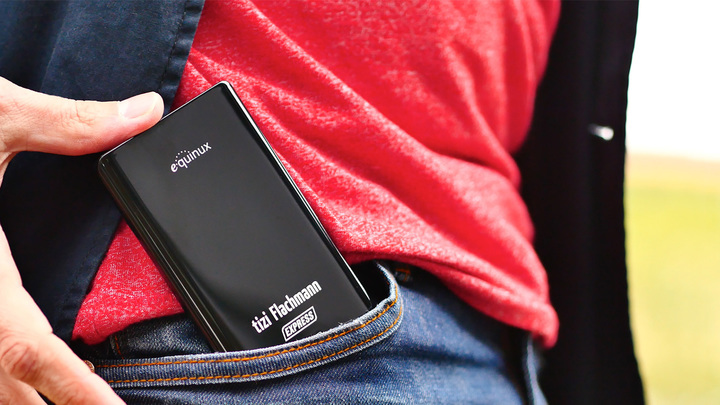 Fast, slim, smart: The tizi Flachmann Express, is a thin and elegant portable battery. Thanks to the Auto Max Power™ technology inside, the speed and performance even surpasses many smartphone chargers. Make sure to reserve a space in your pocket for this one. #jeansgate: Finally, a portable powerbar that doesn’t leave a bulge in your pants. The glossy tizi Flachmann Express easily fits into tight jeans or a shirt pocket. Turn it on, plug it in and boom! It doesn’t matter if it’s an iPhone, a Nexus, a Galaxy or a One, thanks to Auto Power On, the tizi Flachmann Express automatically starts charging. The cool blue status LEDs display how much power reserve you still have. Express yourself! Last longer and enjoy more freedom. Somehow every smartphone always seems to be running on empty. With a whopping 4000 mAh, you can completely re-charge your smartphone up 2x! Now that’s performance. The super portable tizi Flachmann Express is available now at a special to-go price of only 19.99 Euros. 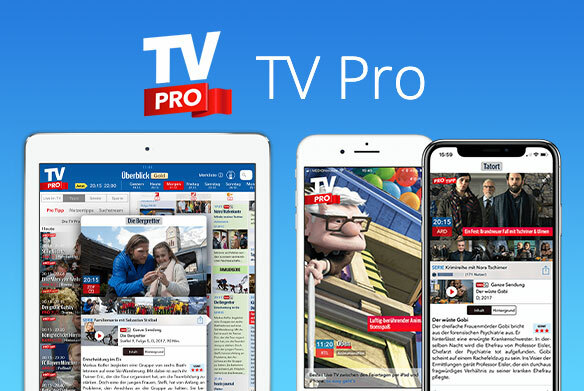 You’ll also get a 12 month tizi/club membership as welcome bonus. Who doesn’t need power in their pocket?